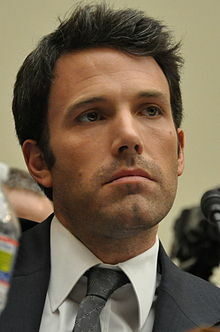 It’s been at least two days since the pop-cultural world was rocked by the long-awaited unveiling of the casting for the untitled “Man of Steel” sequel; where we discovered that the role of America’s most iconic caped crusader was bestowed upon none other than American actor, director, screenwriter, and professional poker player (no, really) Ben Affleck. While this isn’t the only news to come from the studio (Breaking Bad’s Bryan Cranston was recently confirmed for Superman’s nemesis, Lex Luthor), it is the most controversial, and as a lifelong fan of the character, I would love to add my opinion to the fire. First, one must deconstruct why the move has garnered so much attention. Affleck has certainly had an eclectic background in Hollywood, having made his start in low-budget, cult films directed by Kevin Smith, before achieving mainstream success for his work on “Good Will Hunting”. However, it’s his time immediately following these films that seems to attract the most vitriol from people. While most of the moviegoing populace has (mercifully) forgotten the atrocious “Gigli” and “Paycheck,” the same cannot be said for Affleck’s role in the disappointing “Daredevil,” where he blandly played the Marvel comics vigilante. These performances (all of which “earned” him a Razzy award for Worst Actor that year) contributed to his reputation as an untalented actor. However, in recent years, it seems Affleck has made a fairly tremendous career change. Aside from a fantastic supporting role in “Hollywoodland” as George Reeve, the (ironically enough) ill-fated actor who played Superman, Affleck has managed to make an enormous resurgence with his work on “The Town” and “Argo,” proving that he is a more than capable actor when the proper director is behind the camera; even if the director is himself. But all of this is beside the point; the primary issue that Affleck has been unable to shake is the obvious comparison to the latest, and perhaps greatest actor to put on the cape and cowl, Christian Bale. However, I can’t help but think this is the studio’s intention, and if it is I’m proud of the decision. Bale was more than just the most recent actor to play multimillionaire Bruce Wayne and his scarier alter ego. His performance defined the character for an entire generation. A generation beset by cynicism and post-millennial angst. However, Bale’s Batman was clearly shown flying into the sunset at the end of the last film “The Dark Knight Rises.” Indeed, to bring him back would in many ways undo the emotional impact of that film. Affleck’s casting signifies a respectful level of distance from Christopher Nolan’s films, and for good reason: Batman’s next appearance is not in a Batman movie, it’s a Superman movie in which Batman plays a supporting role. This is a sensible idea. After all, Batman is not only plausible in the world of Superman (and, by extension, the Justice League), he is in many ways integral to it. Superman, by contrast, is utterly alien (pun sort of intended) to the world of Batman. This is not only because “The Dark Knight’s” pseudo-realistic, crime-fiction world has little room for an alien in pajamas. Batman is intended to be larger than life. In the world of “The Dark Knight,” criminals are left to wonder if he is a mythical beast of the night, or an insane man in a bat costume (and which one is scarier), but in a world where Superman exists, Batman is a superhero. He is an intelligent and dangerous one, but there is a word to describe what he is, and that takes away his magic and makes him smaller, especially compared to the red-caped demigod or the man with the alien power ring, which is perfectly acceptable in a movie that isn’t about him. However, the point remains that, ever since fans have been spoiled with the likes of Bale and Ledger (the latter of whom received a similar level of anger upon his casting) there has been a certain expectation for comic book characters to be portrayed by high-caliber actors, even when future prospects may include starring opposite Ryan Reynolds’s Green Lantern. The simple fact is, as far as art goes, we more or less got the definitive Batman films with Nolan’s trilogy, and WB has made clear their intentions to go a more summer-movie route with the upcoming films, which is exactly the kind of movie Affleck would star in. Time will tell if it was a smart decision, but I’m happy with the direction their taking, and excited for the product in a way I wasn’t before. Either way, count your blessings. We almost got the “Lone Ranger” guy.